Inside Out director Pete Docter explains why Pixar re-animated certain scenes (like the broccoli scene) for international audiences. 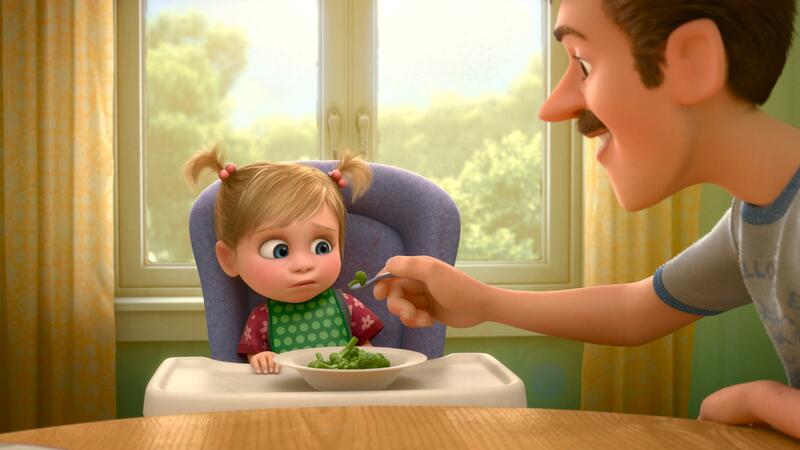 If there’s one thing that Inside Out’s main character Riley hates, it’s broccoli. Or is it? 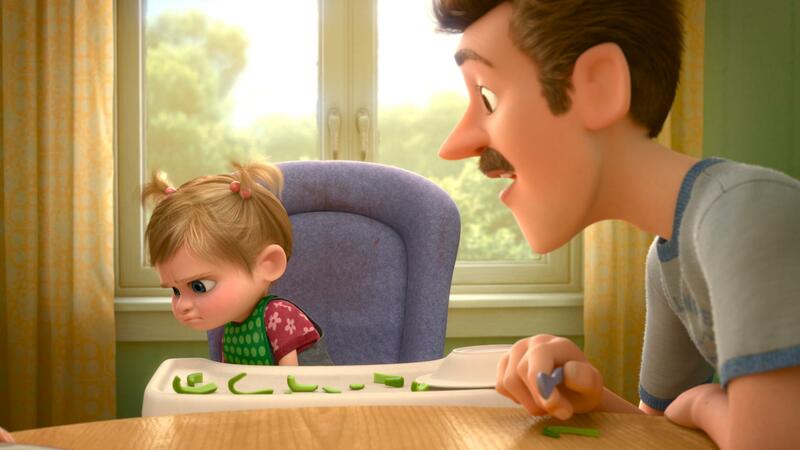 Last week Pixar tech artist David Lally pointed out on Twitter that Japanese children watching Inside Out will see Riley balk at a different green veggie: peppers. But that’s not the only change made to help the film translate better. 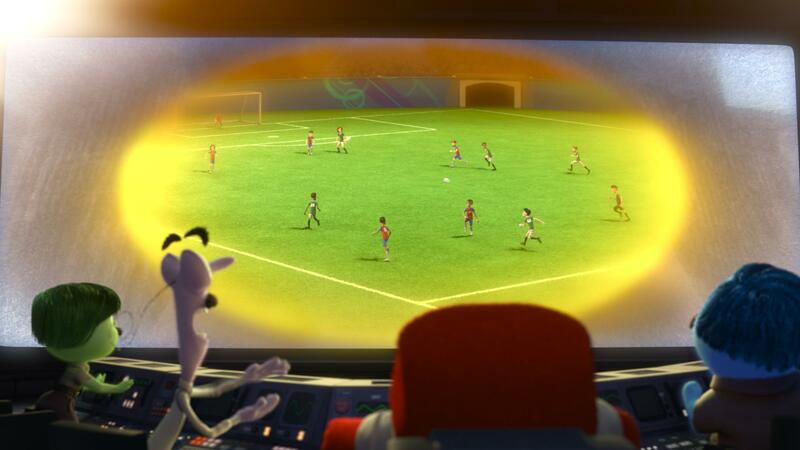 Stateside, Riley’s dad likes to daydream about hockey at the dinner table, but for some audiences, he’s a soccer fan. We reached out to Pixar for a little insight into why they made the decisions they made—and what other changes we might have missed. Here’s what Pete Docter had to say. We learned that some of our content wouldn’t make sense in other countries. For example, in Japan, broccoli is not considered gross. Kids love it. So we asked them, ‘What’s gross to you?’ They said green bell peppers, so we remodeled and reanimated three separate scenes replacing our broccoli with green peppers. We offered a version with soccer instead of hockey since soccer is huge in so many parts of the world. 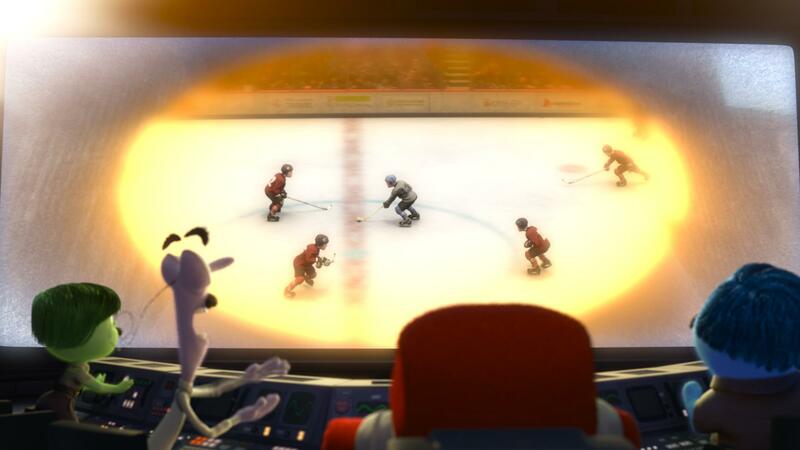 But some countries that are into soccer actually decided to stick with hockey since the characters in the movie are from Minnesota and it makes sense that they’d be hockey fans. Bing Bong reads a sign in the film to Joy and Sadness. He points at the letters, D-A-N-G-E-R, saying ‘it’s a shortcut.’ Not only did we translate the sign, but we even went so far as to reanimate Bing Bong so that he points to the letters from right to left, instead of left to right to accommodate certain languages. In the end, Docter said Pixar localized 28 graphics across 45 individual shots. And it makes sense—empathy matters in all movies, but particularly when it comes to a movie that’s all about emotions.